CATCH THE BUZZ – Bayer Forms Three-Pronged Strategy, Seed Traits, Chemicals, and Digital Agriculture from Monsanto. Bayer started integrating Monsanto roughly a month ago after buying it earlier this year. So what’s happened so far? Bayer CropScience executives discussed some of the plans they have at this week’s Future of Farming Dialogue meeting at its Monheim, Germany headquarters. 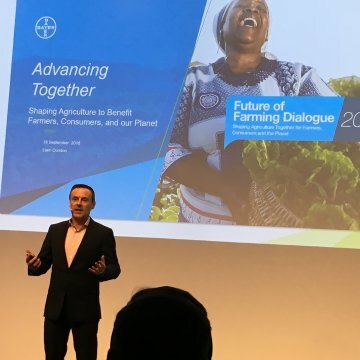 Bringing Monsanto on board gives Bayer Crop Science a three-pronged innovation strategy, says Liam Condon, Bayer Crop Science chief executive officer. Bob Reiter, who heads research and development for Bayer Crop Science, says the two companies working together should speed up the time to market for agricultural products. Normally, Bayer would spent 12 to 14 years developing and commercializing a new herbicide. Simultaneously, Monsanto would be working on a biotech (seed) solution to develop a herbicide-tolerant crop that allows a certain chemistry to be applied to it. “That would add 10 years to an innovation life cycle,” Reiter says. 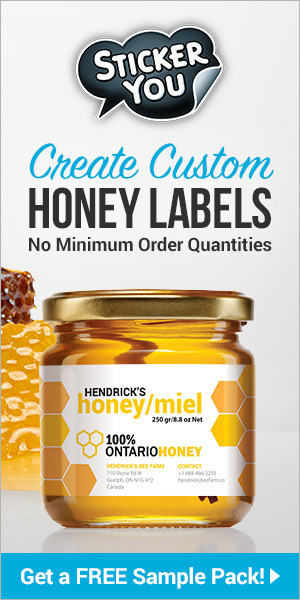 Joining forces will help speed a product to market faster, as both technologies could be developed on a parallel track. “It could literally allow us to simultaneously launch the crop protection product at very same time as the seed product,” Reiter says. * Digital agriculture loomed large in Bayer’s decision to buy Monsanto. The knock against digital farming is a resulting “paralysis analysis” in that it generates reams of data with little guidance in how to use it. A tool unveiled last month by The Climate Corporation may change that. The Seed Advisor uses an algorithm that takes the farmer’s data and uses it to help him or her select hybrids on that basis. Results in 2016 were promising, says Mike Stern, who heads The Climate Corporation and Digital Farming for Bayer. Results are promising for 2018 testing across 100,000 acres. So far, favorable numbers are above 2016 results. Bayer’s big into sustainability, as it aims to follow a number of sustainability goals. You won’t find many deniers of climate change at Bayer Crop Science. Or not. Warmer summers over time may instead signal a changing climate in a region. “This will put incredible pressure on plants,” says Condon. That’s why Bayer is working on solutions for crops to withstand stressors like drought and excessive heat, he says. Last March, Bayer formed a joint venture with a Boston firm called Gingko Bioworks to form a new venture called Joyn Bio. Condon says the new firm uses synthetic biology to engineer microbes that benefit crop growth. So far, the microbes Joyn Bio is keying on aim at improving nitrogen (N) fixation to reduce the amount of commercial N applications. If products like these come to fruition, it will be a disruptive agricultural technology, says Condon. Gene editing is also hot. Bayer Crop Science and a new start-up called Pairwise formed a joint gene editing collaboration earlier this year. It will use tools like CRSPR-Cas9 to produce new gene-edited crop products. “This is technology I believe that in the long run will fundamentally reshape plant breeding,” says Reiter. Bayer plans to identify new molecules to protect crops against pests. It is collaborating with a German company called Targenomix that identifies the mode of action of bioactive small molecules. The firm uses various genomic tools to better understand how various molecules affect plants. The hope is it will discover new modes of action in products like corn and soybean herbicides, say Bayer executives. The last mode of action in corn and soybean herbicides to be discovered were the HPPD inhibitors (Callisto, Balance Flexx) in the 1980s.